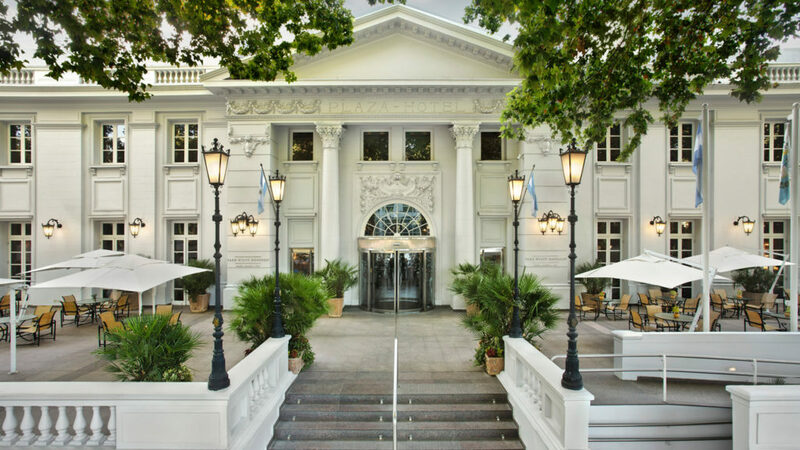 The Park Hyatt Mendoza is the place to stay to start off your wine trip through Argentina’s most important wine-producing province of Mendoza. Photo courtesy Park Hyatt Mendoza. First, it is gorgeous. The lobby, the rooms, but not the on-site casino. Casinos are always so depressing, even in Las Vegas. Where is the glamour and mystery you see depicted in James Bond movies, where men are in classy tuxedos and women in beautiful dresses? Second, it has an outdoor pool that’s long enough, deep enough to do laps. What more could you want? Well, I suppose I should tell you that it’s located in the heart of the business district, but really, what’s more important is that it’s within walking distance to restaurants and an excellent wine store where you can peruse wine bottles from across the whole country. It’s also located in front of Plaza Independencia, a picturesque square. Of course, this is also where you’ll want to start off your wine trip through Argentina’s most important wine-producing province of Mendoza, what with the Mendoza International Airport near-ish by. But even if it weren’t, I’d still recommend you stay here. I loved my stay at this hotel. I think you will too.